PANTHRO invents Holograph-Recorders to ‘film’ the THUNDERCATS’ experiences on Third Earth for incorporation into a Time Capsule through which future generations can learn. 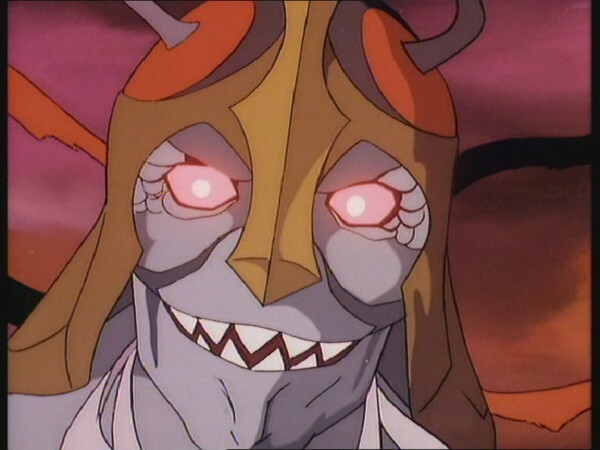 MUMM-RA overhears the plan and believes it provides an opportunity to attack each THUNDERCAT in isolation. He summons robots and war machines from the past, creating a mechanical plague to destroy the THUNDERCATS. The TECHNOPEDE fights PANTHRO; the WARBOT fights TYGRA; the DRILLER fights CHEETARA, who also has to contend with ROCKMEN; WILYKAT and WILYKIT are pursued by the MECHANOSECT. LION-O witnesses the THUNDERCATS’ plight through the Sword of Omens but, before he can do anything to help, the MUTANTS set him upon. He summons his colleagues, who escape their individual opponents and rally to LION-O’s side. Throughout this episode, SNARF tries to record his important domestic chores – but only succeeds in trapping himself high on a washing line. His humiliation is, of course, recorded for all to see. The ThunderCats engage in an effort to record history for the sake of future generations. The lesson for mankind in learning from the past is that if we know what mistakes our ancestors made, we will not make the same mistakes. Even in our individual lives, this is an important lesson. In this episode, Lion-O and the ThunderCats face a mechanical plague of robots they have met before. Despite having to face the robots in a group rather than one at a time, they are able to call upon their memory of the previous encounters and defeat the robots once more. In our daily lives, too, we will always have reason to call upon knowledge of our past. We must be open to learning from our present experiences so that we can use our knowledge in the future. 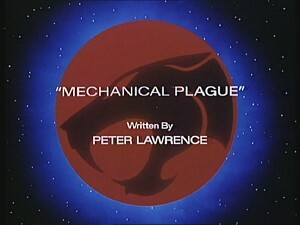 Although not without its redeeming features, it has to be said that “Mechanical Plague” is not one of ThunderCats’ strongest episodes. In fact, it is arguably one of the series’ very weakest offerings. With only the most straightforward plot imaginable, a paucity of dialogue and hefty amounts of reused animation, this episode scores more on little touches that fans of the series will enjoy rather than through any great wonder of storytelling. Why is this episode so weak? Perhaps one reason is because on paper it could actually have been quite memorable. Over the course of the series up to this point, some of the ThunderCats’ greatest and most suspenseful battles have been against some of the creatures featured in this episode, all (save for the Driller) giant machines who, making a combined onslaught against the ThunderCats, could have provided our feline heroes with their greatest challenge ever. 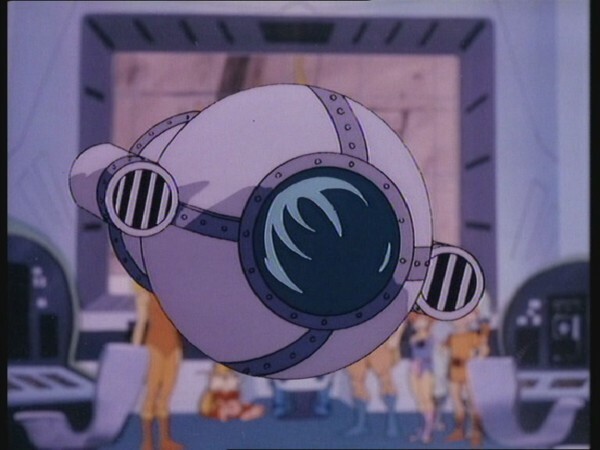 However, rather than live up to that potential, instead we actually see the ThunderCats dispatch these mechanical menaces with even greater ease than when they first faced them. For example, the unstoppable Plun-Darrian Warbot from “Return of Thundera”, which Lion-O was only able to defeat because he knew its weakness, is bested by the ThunderTank without any regard for that specific weakness. 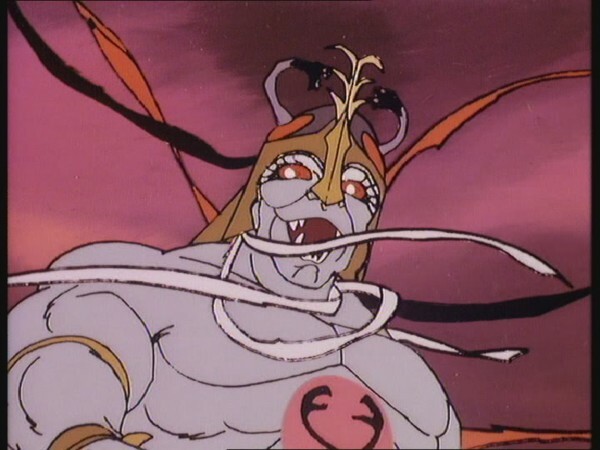 Likewise, whereas it took all the ThunderCats to defeat the Technopede in “Turmagar the Tuska”, in this episode Panthro is able to destroy the creature single-handedly. 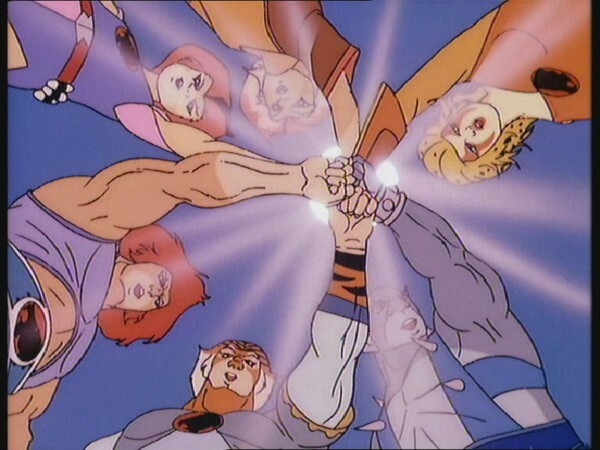 Whilst it could be argued that the ThunderCats achieve this feat because the robots they are facing have been resurrected by Mumm-Ra, and are perhaps facsimiles of their former selves (if not just badly put back together), such an argument sacrifices virtually all of the dramatic potential promised by this episode’s premise. Worse, there is a missed opportunity to resurrect these machines without their former weaknesses, such that the ThunderCats might be forced to find new ways of defeating them. 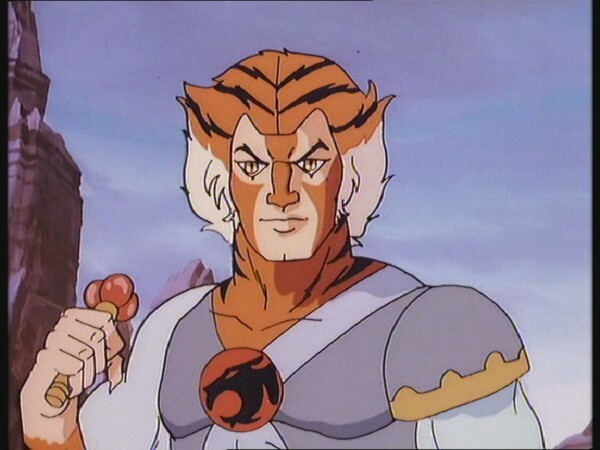 Perhaps the strongest plot point of this episode is the ThunderCats’ intention to make a holographic record of their life on Third Earth, which would be a natural thing for them to wish to do, especially in light of their recovery of the Time Capsule that contained a record of life on Thundera. “The Time Capsule” was actually penned by Peter Lawrence, who was also the author of this episode, and as such there is a nice, subtle element of continuity introduced. However, the authenticity of the ThunderCats’ recordings are somewhat questionable, given that the vast majority of what they set out to record is not Third Earth, its landscape or its indigenous people, but instead shots of the ThunderCats demonstrating their powers and abilities. Whilst these would undoubtedly form a big part of their life on Third Earth, it nonetheless feels as though this plot device is merely an excuse to show the ThunderCats displaying their powers and skills in the setting of mini-action sequences, rather than as part of a real storyline. In terms of the action sequences themselves, normally these can be the saving grace of a weaker ThunderCats episode. A lot of fans remember the show as much for its action as for its storytelling, and, to be fair, this episode does boast a higher-than-average number of action sequences, several of which are enjoyably choreographed. 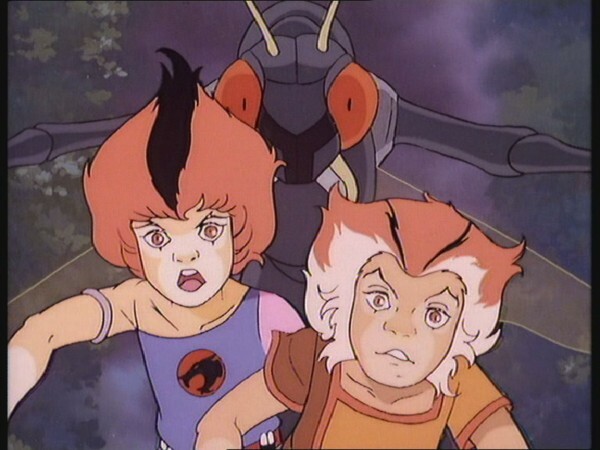 However, even for ThunderCats, several of these action sequences fall flat without the backdrop of a stronger storyline generating them, and, as stated earlier, some of them also feel anti-climatic when compared to the ThunderCats’ original battles with the machines that comprise this episode’s main threat. Another element that weakens the action sequences in this episode is the large amount of animation that is reused from other, previous, episodes. 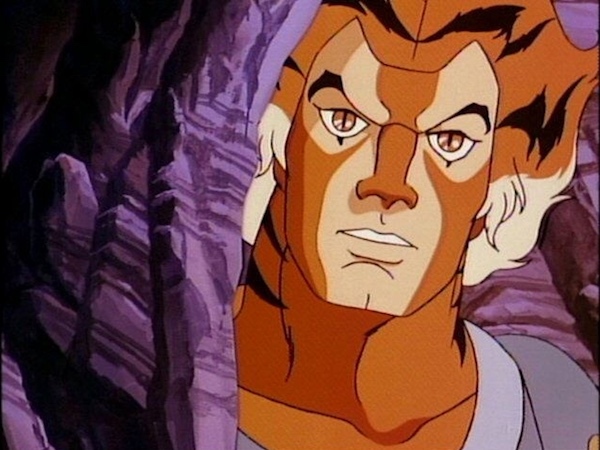 Although ThunderCats did not technically employ the “stock footage” system that some animation houses in the 1980s (notably Filmation) would utilize, from time-to-time it is possible to spot sequences of animation that have been reanimated and reused in a different scene in a different episode, presumably to save either time or money. Ordinarily this recycled animation would be very subtle and barely noticeable to all but the most observant ThunderCats fan. However, in this episode it is difficult not to spot at least one example of this happening. As such, some of the action sequences in this episode feel more like a “highlight reel” than something used to accentuate the drama and excitement of the story. Despite these major flaws, the episode does have a couple of redeeming factors. One of those is that, when new animation is used for the episode, it does include some stunningly beautiful shots, particularly the sequence of Tygra playing to the camera. 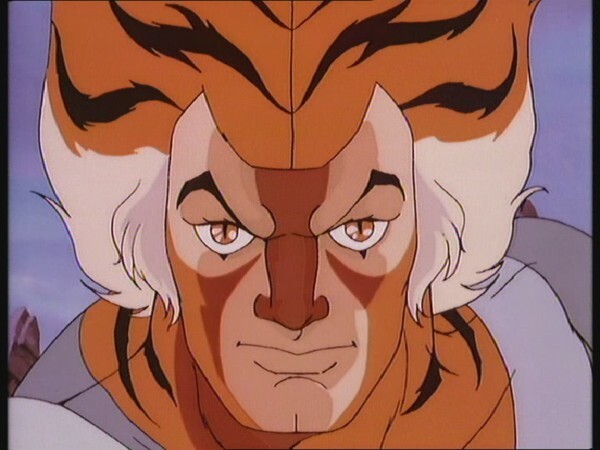 However, the one thing that many ThunderCats fans love about this episode is that it is a fantastic showcase for Bernard Hoffer’s inspirational ThunderCats music score. With so many scenes showcasing long action sequences for each of the individual ThunderCat, and boasting virtually no dialogue, each ThunderCat’s beautiful theme music is heard not only for longer than ever before, but also in a manner that allows it to be truly appreciated. To completely carry a scene with no dialogue, using only a regular music track, is a very hard task, and the fact that Bernard Hoffer’s music manages to pull this off is a true testament to the genius of the man. That highlight aside, however, this episode is a forgettable and at times even downright boring outing. Disappointingly, given the exciting-sounding premise, it is a legitimate contender for the title of “Worst ThunderCats Episode”, and is unquestionably one of the weakest offerings from the show’s first season. When the ThunderCats first play back footage of Snarf recorded during the opening scenes of this episode, one of the animation sequences shown actually comes from “Snarf Takes Up the Challenge”! 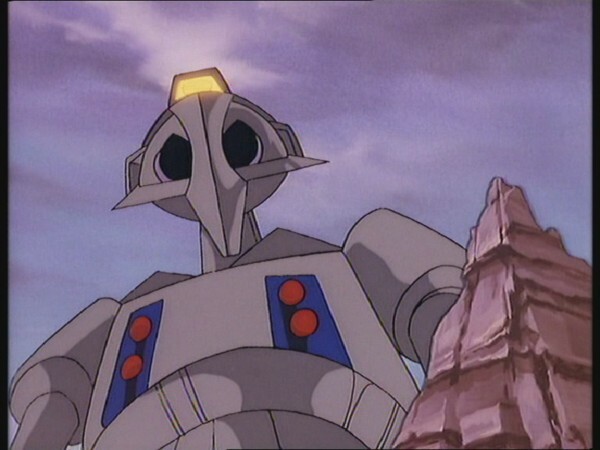 The robots mystically salvaged by Mumm-Ra to attack the ThunderCats all appear in previous episodes . In order of appearance, they are the giant Technopede from “Turmagar the Tuska”, the Plun-Darrian warbot from “Return to Thundera”, the Driller from “Spitting Image” and “Return of the Driller”, and a Mechanosect from “Return of the Driller”. 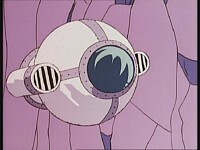 Unlike his previous two appearances, in this episode the Driller does not have a speaking role. This episode features a great deal of reused animation from various episodes, including “Exodus”, “Return of the Driller”, “Sixth Sense”, “Turmagar the Tuska”, the show’s opening titles, and even The Lost Intro! 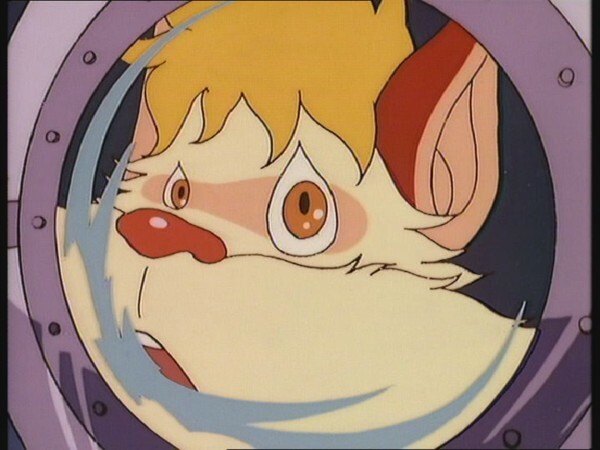 However, one of the most blatant examples is a scene involving WilyKit and WilyKat, where the first half of the scene is lifted wholesale from “The Time Capsule”, complete with WilyKat’s difficulties piloting his spaceboard! This episode is notable for its brilliant showcasing of the ThunderCats’ individual music themes, composed by Bernard Hoffer. 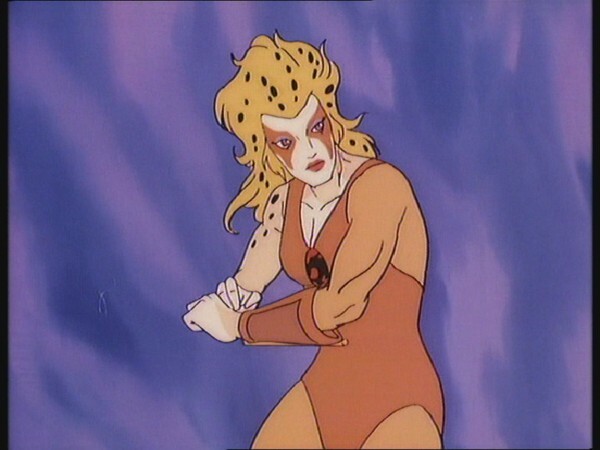 This episode would provide the longest and best showcase of Tygra’s theme and nearly the longest for Cheetara’s theme, with lengthy action sequences utilizing the music, and only sound effects and minimalist voice acting to interrupt it. Mumm-Ra calls upon the Ancient Spirits of Iron and Steel to resurrect these robots and war machines of the past, and they appear to emerge from the Desert of Sinking Sands. At one point during this episode, over four and half minutes elapse with no line of dialogue, save for grunts and wordless exclamations! It’s the longest such stretch in the entire series. The ThunderKittens ward off the Mechanosect by conjuring a large furry bat creature from their pellets. The reveal of the creature mistakenly only lasts a few frames—blink and you’ll miss it! 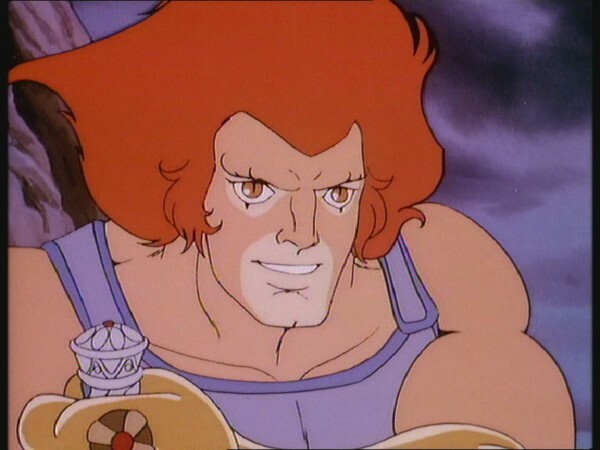 In the final scene of this episode, Panthro tells Snarf that “there’s a hidden Hamlet in every comic.” Hamlet, of course, was the lead character in William Shakespeare’s play of the same name, which raises the question of how the ThunderCats could be familiar with the works of Shakespeare!